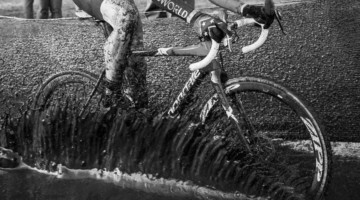 You can watch Sunday’s Women Youth, Men’s U23 and the Women’s and Men’s Elite 2016 USA Cycling Cyclocross National Championship race right here on cxmagazine.com. 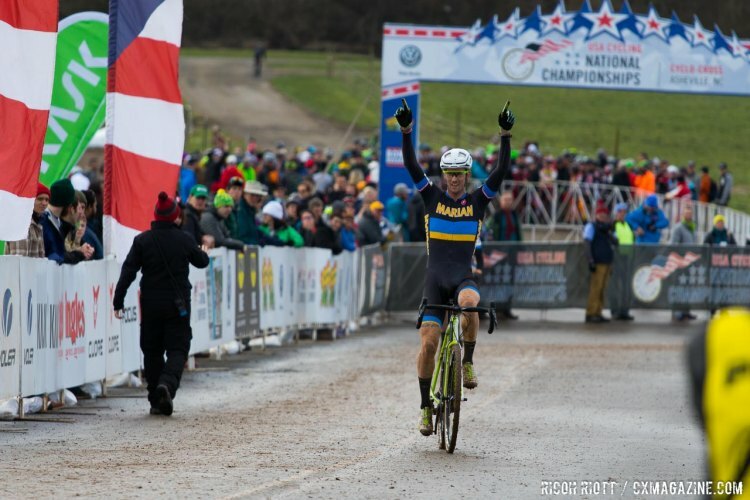 ASHEVILLE, N.C.—With the excitement of Saturday’s Junior events still fresh, it’s it’s time to take a look at what we might expect in the main events from the 2016 USA Cycling Cyclocross National Championships. 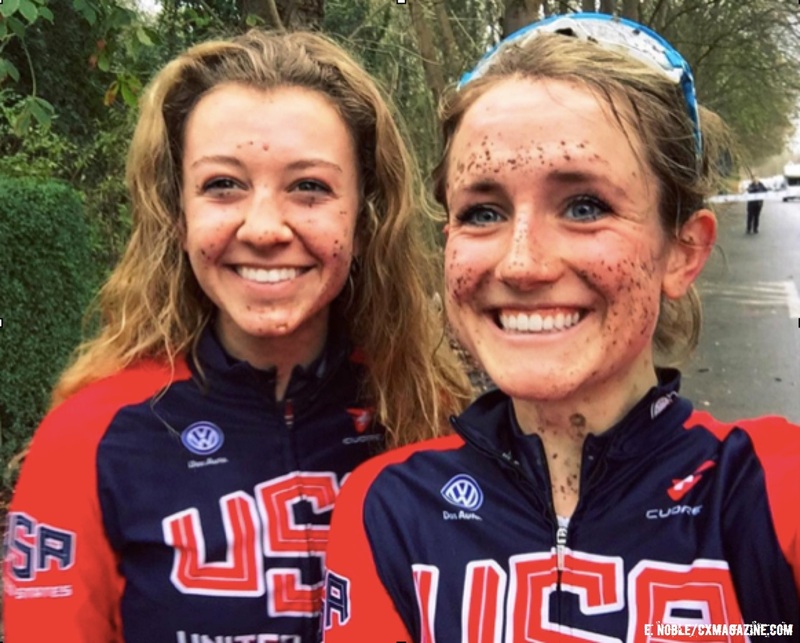 The top of the field is a who’s who of riders featured in our rider diary series from the USA Cycling Cyclocross Development Camp. With names like Boulder Junior Cycling teammates Eric Brunner and Denzel Stephenson as well as Cameron Beard (Cyclocrossworld.com), it’s likely to be a show down of ‘cross campers at the front of the Junior Men’s 17-18 race. The riders who fans really need to watch for though have to be cross campers Gage Hecht (Alpha Bicycle Co.- Vista Subaru) and Spencer Petrov (Cyclocross Network Racing). Based on their recent rides in Europe alone, they are a step ahead of their campmates, with Petrov perhaps being a bit more on form than the reigning 17-18 champ Hecht. Expect both of those riders to put on a show that is sure to thrill as either can ride away from the field. 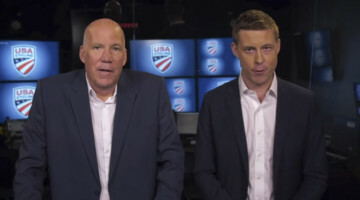 Women’s Youth, U23 Women, call it whatever you want, but this year’s Nationals are mirroring the new event to be offered at the World Championships, without consolidating the Junior and U23 titles. The Women’s Youth race is essentially two races in one for USA Cycling National Championship purposes, with a separate title on the line for those riders that are 17-18 years old. For the 19-22 riders, the clear favorite is Ellen Noble (JAM Fund / NCC) the reigning national champion who won on in Austin, Texas a year ago. But hot on her heels is Emma White (Cannondale p/b Cyclocrossworld.com). White won the 17-18 title last year, but her current racing age is 19, so she’ll face off against Noble as she has all season. Allison Arensman (TWENTY16 Ridebiker) who was second in yesterday’s Women Collegiate D1 race, is another rider to watch for in the older group in this combined field race. Arensman was the silver medalist at the Pan Am Cyclocross Championships this year and is a top step podium candidate at Nationals in her own right. Behind those three, Laurel Rathbun (Raleigh/Clement) can’t be discounted as a dark horse contender. For the younger 17-18 group Hannah Arensman (TWENTY16 Ridebiker) Allison’s sister, is the top prospect for a gold medal. The implication for this race, like Sunday’s other races, is selection to the United States’ World Championship team. The difference here being that selection from this field is for the UCI’s new Youth Women category at Worlds. 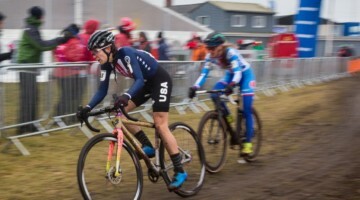 Reviewing the USA Cycling World’s team selection criteria, our take is that Noble is already on the squad by virtue of her win at the U23 Pan American Championships, not to mention her top 15 ride at Koksijde. White seems like a sure fire bet. Behind those two there are four spots up for grabs, with one guaranteed spot going to the winner in Asheville. 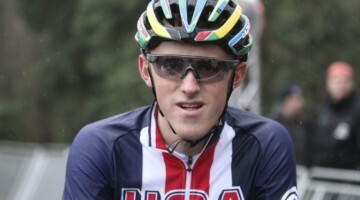 Curtis White (Cannondale p/b Cyclocrossworld) is the top ranked U23 Men’s rider based on USA Cycling points. 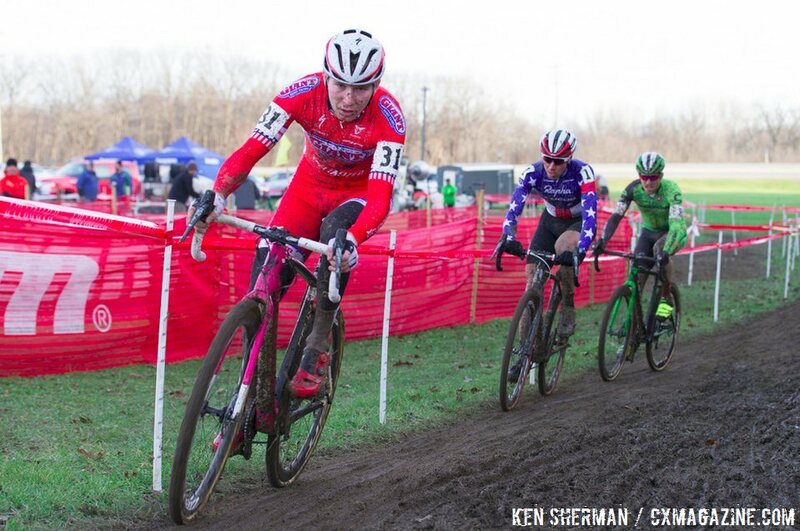 But Andrew Dillman (Cyclocross Network Racing) has to be the favorite for Sunday’s race given his commanding win in the 2016 Men’s Collegiate D1 championship race on Friday—that is if he’s fully recovered from the effort. The course knowledge at race pace in slick conditions that Dillman now has could prove useful if the forecasted Saturday night rains come. Also on the line for the Men’s U23 is Tobin Ortenblad (California Giant Berry Farms/Specialized) who is coming off a top 10 in Azencross as well as Friday’s Men’s Collegiate D2 winner Cooper Willsey (Cyclocrossworld.com). Either rider is clearly capable of a podium ride if not the gold medal outright. Katie Compton (Trek Cyclocross Collective). It’ll be 12 National Championship titles in a row if she can repeat her performance from a year ago in Austin. In her favor is the fact that she’s the most prolific cyclocross racer in America, she’s the past champion 11 times over, as a crowd favorite she’s highly motivated on course and, well, she’s Katie F’n Compton, as it says on her bikes. What might hold Compton back is a season that got off to a slow start. 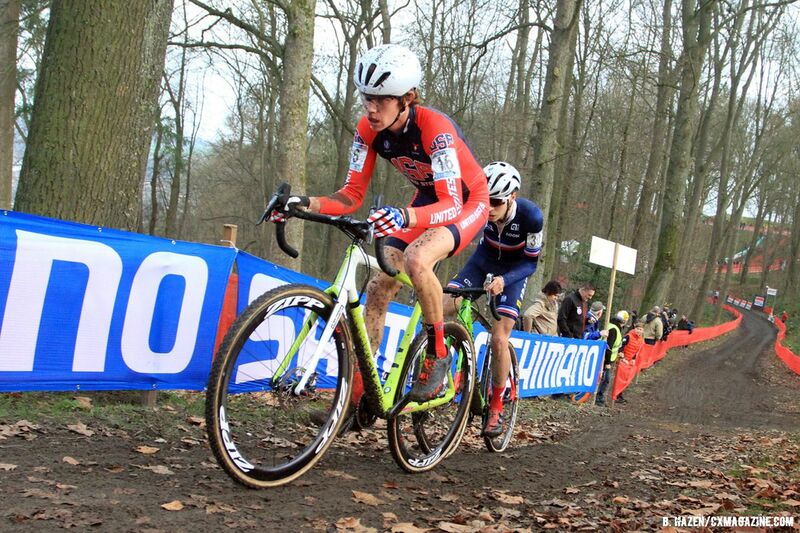 She had some early season form and health setbacks and, well, she’s the elder stateswoman of American cyclocross. Ready to pounce if the reigning champ falters, and willing to take the race right to Compton if given the chance, is Kaitlin Antonneau (Cannondale p/b Cyclocrossworld). Coached by Compton in the past, is this the year that Antonneau bests Compton? Last year she was second to her former mentor and nobody at the front of the race is going to give the title away out of the kindness of their heart. Watch Antonneau closely as she’s our pick if there’s any weakness in Compton’s nationals defense. Perhaps a step behind but ready to race to the win are Boulder Cycle Sport/YogaGlo teammates Amanda Miller and Crystal Anthony. And one can’t count out Meredith Miller (Noosa Pro Cyclocorss) or Georgia Gould (LUNA Pro Team). Both have stood on the second step of the podium at Nationals and thus have the experience it takes to make the podium or even take the victory. One name that we’re sorry to see likely not racing after this Nationals is Rachel Lloyd. Bringing an end to the Cal-Giant era, Lloyd has said on social media that she’s hanging up the race bike after today’s race. Hopefully Lloyd can go out with a fine performance given her technical skills on the challenging course here in Asheville. Anyone trying to call the Men’s Elite race in advance is likely to give the hat tip to the current National Champion Jeremy Powers (Aspire Racing). Powers hasn’t had the eye-catching performances he had last year in Europe, but he’s won nearly everything he’s entered here in the States. Powers will be motivated to repeat and it could be the spark he needs for a great ride at Worlds. Aside from Powers? Cal Giant’s Logan Owen. That’s right, the ten-time national champion is forgoing his chance to repeat as Men’s U23 champion and is taking on the Elite field. Why? As he told us recently, he thinks it’s important to challenge himself and he thinks he can win. More than a dark horse for the Stars and Stripes jersey, Owen is a legitimate threat to Powers repeating. 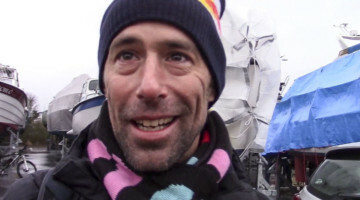 Stephen Hyde (Cannondale p/b Cyclocrossworld) and Jamey Driscoll (Raleigh-Clement) are two other riders, noted by Owen himself in our talk with him last week, that could ride to the win. Of course multi-time past National Champions Jonathan Page (Page/Fuji) and Ryan Trebon (Cannondale p/b Cyclocrossworld) are experienced, talented riders who are perhaps looking to the future and are maybe also planning on another round of Nationals glory. The race’s dark horse? Zach McDonald (Streamline Insurance Services). Perhaps the best bike handler in the field, if the course conditions are less than ideal, and if he shows the spark that’s brought him four prior championship titles as a Junior and U23 rider and three Elite podium finishes, McDonald, riding his new Alchemy Bicycles’ Balius, could find the podium or even the gold medal. Everyone seems to forget that the day starts with the Women’s 15-16 yr old race! Remember Austin??? Let’s not forget these dedicated athletes once again. I sure hope your coverage of that race is just as great as all your other article/interviews have been. Don’t worry, we’ll be there covering the race and reporting it as we have with every other age group. 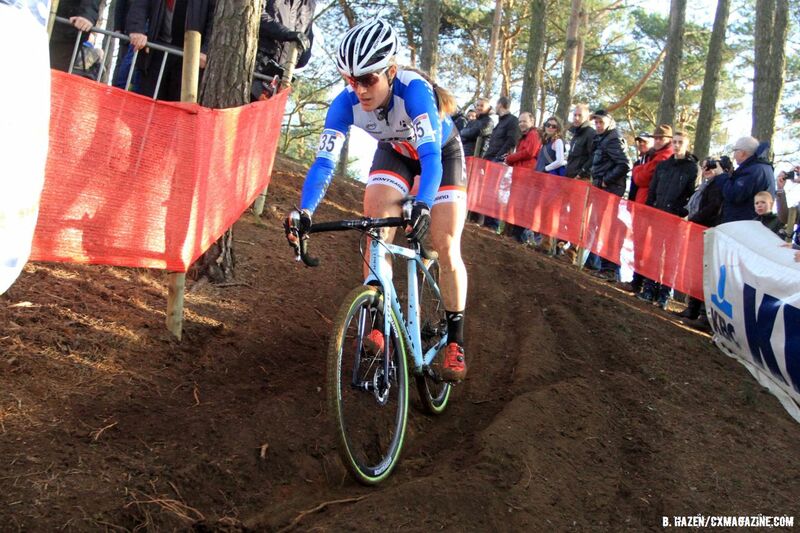 We were focusing our Sunday preview on the UCI events. Sorry for the confusion!